BRYAN EATON/Staff photo. 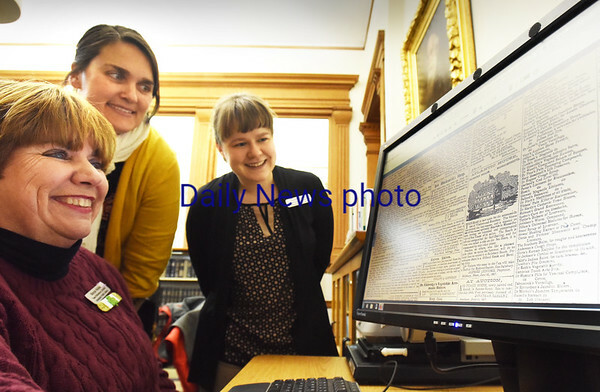 Margie Walker, teen and reference librarian at the Amesbury Public Library show director Erin Matlin, center, and Dorothy Purdy, reference librarian a front page the newspaper Amesbury Village from an 1857 edition. The library is offering old copies of newspapers to patrons online.